Where is the Capstone of the Great Pyramid? The top or capstone is traditionally thought to be the last piece added when constructing a pyramid. Some have speculated that the Great Pyramid’s capstone was made of solid gold, or in some theories, at least gold-plated. Of course presently undetermined, some have stated this was for an aesthetic purpose, boasting the wealth and power of the Pharaoh Cheops, for whom it was supposedly built. Others have offered a more functional explanation such as The Great Pyramid is actually a machine and its design, including a massive gold capstone, was intended for harnessing and transmitting energy, not just for showing-off. Since the capstone is absent, rumors abound as to why it’s missing or where it has gone. Egyptologists tend to stick by their guns–namely, that the pyramid was a tomb built for Cheops around 2500 BC and that the capstone is missing because it was looted, similar to other ancient Egyptian relics and tombs. Archaeologists, geologists, and researchers have been poking holes in this mainstream theory for decades. 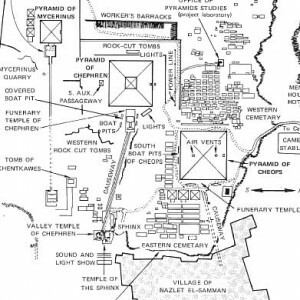 If you want the official version of The Great Pyramid and its missing capstone, go read the first paragraph of any encyclopedia entry. We will explore some of the “other” theories for those who find it hard to swim in the mainstream. Readers familiar with the work of Edgar Cayce, Graham Hancock, or Erich von Daniken have undoubtedly heard of Atlantis or of the prehistoric civilizations whose technological advancement is claimed to rival or surpass our own. The location of this mysterious land has never been proven, though most tend to agree that Atlantis was somewhere in the Atlantic Ocean. Some researchers propose that our modern era of civilization began with the destruction of the old era, or Atlantis. Across the globe, nomadic peoples and primitive cultures seemed to experience advancements in sudden bursts. One theory is that these cultures were infiltrated by refugees from the Atlantean culture. They brought with them the knowledge for advancing technology and thus seeding a modern civilization. 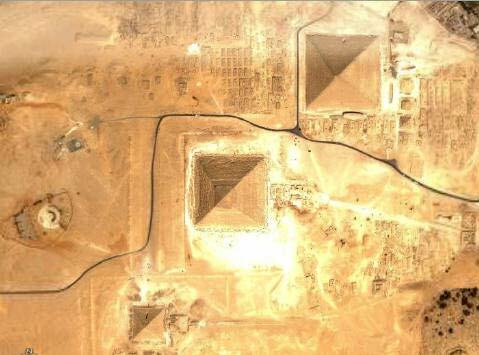 In this theory, many believe that The Great Pyramid (with its capstone) is much, much older than commonly suggested. In fact, some believe it was built to preserve the Atlantean legacy. Others suggest that it was built after the cataclysm, using the knowledge that the refugees had preserved. Either way, the precision and technology necessary to build this massive structure eludes even the cutting-edge of modern science. When examining why The Great Pyramid was built, we will further discuss two hypotheses. The design of the pyramid encodes mathematical information about the form and function of the universe. It was made so large with the hardest stone around in order to protect this vital information and to ensure that it would stand the test of time. 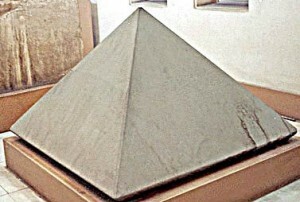 The finished pyramid (with capstone) was a device or machine for harnessing and using energy. Who built The Great Pyramid, and when it was built remains a mystery, however, the mathematics that are so ubiquitous in its design are not. Contrary to popular belief, there are no inscriptions or hieroglyphs inside the pyramid. The only clues we have are measurements, ratios, and proportion. 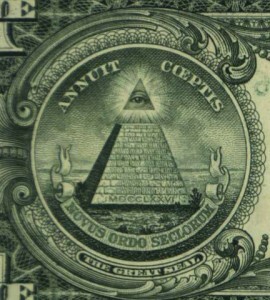 Some believe that the pyramid is a geometric representation of the Earth. The length of the bases, the height, and the slope of the sides correspond to the circumference of the Earth, its diameter, and its surface area. This data is essential to travel, astronomy, and cartography, among other things. The imaginary numbers Pi and Phi, though often attributed to Greek astronomers, are also prevalent in the much older Great Pyramid. Unlike the mathematical hypothesis above, the “machine” theory looks to the inner parts of the pyramid, such as its rooms and chambers. The inner-workings of the pyramid were designed in a very odd, but specific way. The Queen’s Chamber and The Grand Gallery, in particular, are designed in such an elaborate manner that it casts doubt onto their “official” functions as simply a tomb and a passageway. 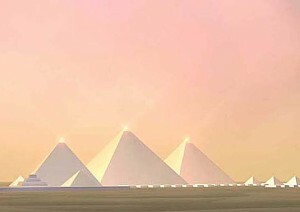 The peculiar nature of the inside of the pyramid has inspired a number of studies and speculations as to the acoustical properties of these rooms, the specific material chosen for their construction, the relationship of the rooms to one another, and the type of energy that The Great Pyramid was built to manipulate. Sub-theories and possible explanations are many, but the verdict is still out on what kind of machine this pyramid really was, or is. The common theme among these sub-theories is that the pyramid does not function without the capstone. 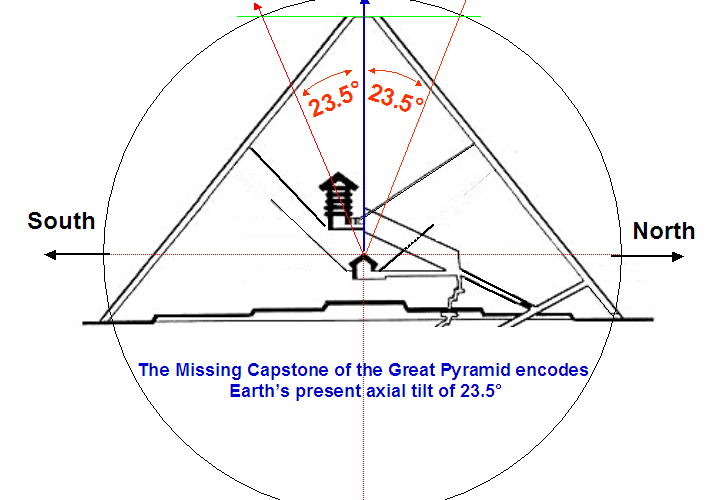 The capstone completes the pyramid and is considered the most important part. Without it, we’re left with a 13-acre, six-million ton mystery. The golden capstone has been missing for as long as history seems to remember. Could it be the missing piece to the most advanced machine on our planet? The Egyptian Government had plans to put a gold-plated capstone on The Great Pyramid at the turn of the century to celebrate the beginning of its seventh millennium, but scrapped its plans at the last minute, with no real explanation. Whether this was to restore the energetic function of the pyramid, or simply a gesture to promote tourism and Egyptian history, we may never know. And so, tomb, puzzle, or machine, The Great Pyramid remains incomplete, like the symbol found on the back of every American one-dollar bill. Posted in Egyptian HistoryTagged Earth, Atlantis, Great Pyramid of Giza, Edgar Cayce, Atlantic Ocean, Khufu, Ancient Egypt, Graham HancockcommentLeave a Comment on Where is the Capstone of the Great Pyramid? 1995: Were Ancient Cultures More Advanced than Many Evolutionists Believe?